Based on the self-recorded sleep-wake logs, all patients were diagnosed as having one of the 4 sleep disturbances, i.e., DSPS, non-24, irregular, and long sleeper. Among patients in these 4 disease categories, there were no significant differences in the duration of sleep disturbance, ages when the symptom first started, and their current age. REM sleep phase (unpublished data). Most of them need about 10 hours sleep to keep awake for the rest of the daytime. These data suggest a deteriorated quality of night sleep. Even though sleep disorders are considered to begin in childhood and adolescents, there have been no in depth reports on this problem. It has been known that the sleep-awake circadian rhythm and other circadian rhythms such as the CBT and hormonal secretion rhythms are closely related to each other. With this background we examined the circadian CBT rhythm in our cases using a special instrument for CBT measurement. The CBT rhythm has been considered to well-match the brain temperature rhythm, according to a basic study. The 41 subjects studied (24 males and 17 females), aged between 10 to 19 years (mean: 15.2 years), were referred to our clinic. To obtain data for normal age-matched controls, we recruited healthy school children as volunteers. The comprised 6 males and 3 females, aged 10-21 years (mean: 17.3 years) for CBT controls. The results are summarized in Table 1. In those patients, the mesor of the circadian CBT rhythm was significantly higher than that in the normal controls. In particular, it is noteworthy that the mean CBT at nighttime was obviously higher in the patients than in normal controls. In those patients, the nadir was also significantly higher than in the normal subjects. The nadir recorded on appearance was significantly delayed in the patients compared to in the normal subjects. In those patients, the amplitude of circadian CBT rhythm was significantly lower (0.85 ± 0.36°C) than the normal subjects (1.51 ± 0.37°C) (P <0.005). Acrophase in the control subjects was recorded on 17.44 ± 1.34 PM, whereas it was advanced in 6 patients to 15.10 ± 1.02 PM (P <0.005), and delayed in 16 patients to 20.02 ± 1.18 PM (P <0.005). Advance or delay was determined in comparison to the time defined in the control subjects. In our subjects, there were no rhythmical changes in their CBT. 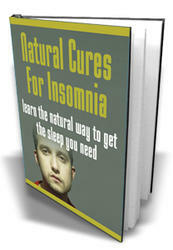 We have studied the hormonal circadian secretion rhythm, such as for melatonin, cortisol and P-endorphin. Each of them showed abnormal behavior, that is, a delayed peak secretion time and a decrease in the secreted amount. As to cortisol secretion in the patients, the area under the curve (AUC) was significantly smaller than in normal controls. In addition, the cortisol peak secretion time was significantly delayed. These data suggested that circadian rhythms are deranged in our patients, and clearly explain that the starting time of daily life is seriously delayed, because of delayed preparation for mental and physical activity supporting daily life. We would like to emphasize the reason why those patients showed a bad condition in the morning and a relatively good condition in the afternoon. The decreased total level of hormonal secretion may be the main cause of the inactivity, dullness and stagnant condition. Glucose tolerance was significantly lower in the patients than in normal controls: the mean sigma blood glucose level was significantly higher (P < 0.05) and the insulinogenic index was significantly lower (P < 0.05) in the patient group than in controls (Miike, Tomoda, Jhodoi, Iwatani, & Mabe, 2004). (both P < 0.05) (Tomoda, Kawatani, Joudoi, Hamada, & Miike, 2009). The mean plasma insulin concentration in the patient group was not significantly different from the controls at any time interval following oral glucose ingestion, except at 120 and 150 min (P <0.001 and P <0.05, respectively). However, individual patient insulin levels varied widely compared with the corresponding BG levels. The insulin level did not correlate with the BG level in some patients. The mean sigma BG level in the patient group was significantly higher than that of controls (910.3 ± 189.9 vs. 865.1 ± 60.5 mg/dl, P = 0.027). However, the mean sigma IRI was not significantly different (patients vs. controls = 431.6 ± 194.8 vs. 892.8 ± 440.5 ^U/ml, P = 0.103). The insulin/ glucose ratio, the initial insulin response 30 min after glucose ingestion, was not significantly different (patients vs. controls = 0.95 ± 0.63 vs. 2.43 ± 1.03, P = 0.315). However, a significant difference was found in the insulinogenic index (patients vs. controls = 0.48 ± 0.20 vs. 1.04 ± 0.50, P = 0.044). The results are summarized in Table 2. 18 of 22 unmedicated patients were examined. The mRNA level of hPer2 was significantly higher at 6:00 in the control subjects. In contrast, the mRNA level of hPer2 was higher at 6:00 in only 3 patients, at 2:00 in 3, at 10:00 in 4, at 14:00 in 3, and at 18:00 in 5. The timing of the hPer2 peak expression level was significantly later in the patients than in the control subjects (P < 0.05, Mann-Whitney's U-test). The most phase-advanced cases (cases 1, 2, 11) showed the hPer2 peak at 2:00, although the most phase-delayed cases (cases 9, 10, 15-17) showed the hPer2 peak at 18:00. There were no significant differences in expression levels of hPerl, hPer3, hBmall, hClock.